Yo! Ho! A pirates Life For Me! So off to OKC to attend the Screening of Pirates of the Caribbean – On Stranger Tides I went. Monday my Sis, Penny, and I attended the action packed, 3d in your face adventures of my beloved Captain Jack Sparrow. The movie was fun to watch even with ducking a time or two from flying debris. Really interesting was the interaction of Depp and Cruz’s charactors. Could it be Sparrow might really know what love is? 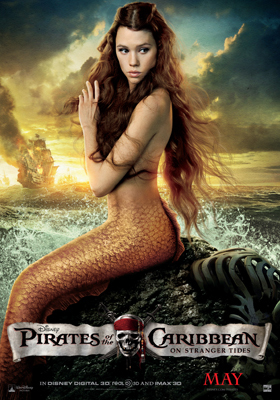 Another interesting side effect of Captain Jack and Angelica’s adventure to the Fountain of Youth was Missionary Phillip Swift (played by Sam Claflin) and the Mermaid Serena (played by Astrid Berges-Frisbey). Might just make you think twice about mermaids!!!! This was a great experience for us with the awesome 3d effects! I think it is safe to say we enjoyed ourselves and hope you get out May 20 to experience Pirates of the Caribbean: On Stranger Tides. Check out Pirates of the Caribbean on Disney, Facebook and Twitter! b. HOW: Jerry Bruckheimer will tweet special instructions to enter the sweeps. c. WHAT: A cruise to the Mexican Riviera on a Disney Cruise line and access to exclusive Pirates of the Caribbean: On Stranger Tides content! iv. All participants are automatically entered for a chance to win Sponsor selected prize packs. b. WHAT: Chances to win prize packs including Hot Topic T-Shirts, Skull decanters, Pirates of the Caribbean Blu-ray™ Box Sets, Pirates of the Caribbean Soundtrack Treasures Collection Box Sets and Pirates Booty! c. No purchase necessary. Void where prohibited by law. Open to legal residents of is open only to legal residents who are physically located in one (1) of the fifty (50) United States or the District of Columbia (void in Puerto Rico, all U.S. territories and possessions and all overseas military installations) who are at least 13 years of age or older at the time of entry. 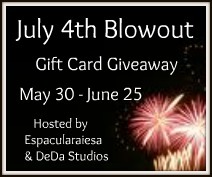 Sweepstakes starts May 7, 2011 6 p.m. PDT and ends May 7, 2011 9 p.m. PDT. For official rules go to: www.facebook.com/piratesofthecaribbean . Read more about Pirate’s Of The Caribbean; On Stranger Tides in my previous post HERE . This movie is a Birthday Present to me!!! I am so excited! Will you be there?